Breast augmentation surgery is undoubtedly the most popular cosmetic surgical procedure in the world. And, for the most part, it is extremely safe. However, as with any surgery, complications can occur. They’re rare, but when they happen to a celebrity such as actress Stephanie March, it makes the news. Our panel of experts discuss Ms. March’s case, how “telling her story” has been positive for plastic surgery, and whether or not her issue was really an allergy to the implant or a surgical complication. Dr. Kevin Smith of Charlotte, NC feels that Miss March did, “us all a great favor,” by coming out with her story. In short, she had a breast augmentation in 2014 but developed an infection in her right breast – one of the more common complications of surgery – and had to have the implant removed. Once the infection cleared up, the surgeon replaced the implant only to have it happen again. Ultimately, Miss March had both implants removed. She shared a first person account of her story for Refinery29 that was subsequently picked up by quite a few other news outlets. In it, she shared her entire process including why she decided to get implants. By being so honest, she presented a lot of good talking points that surgeons can use with their patients to examine why they’re choosing to have augmentation and to discuss any complications that might occur. For Ms. March, she believes that her complications were due to an allergic reaction to her implants. Dr. Craig Colville of Toledo, OH disagrees. He feels that what she had was a surgical complication resulting in an infection in her right breast. “I don’t think that’s an allergic reaction,” which is very rare. Dr. Richard Restifo of Orange, CT concurs. “I never like to say never, but I don’t think that I’ve ever seen a case of an allergy to an implant.” The silicone shell that surrounds the implants is specifically designed to be non-reactive to the body. Colville believes that patients should have surgery for something that they want if it’s indicated and if it will help them to meet their expectations. But, if it’s a stressful time in their lives, he typically advises them to wait. Ultimately, it’s the patient’s decision, but it is the surgeon’s job to educate them on what can and can not be accomplished with surgery as well as the inherent risks involved. “A lot of people talk about plastic surgery being psychiatry with a knife and that’s really true,” says Dr. Smith. It’s the surgeon’s job to decipher a patient’s true motivation and to be honest about whether or not surgery can really achieve what they want. The Customer is Always Right, but is the Patient? 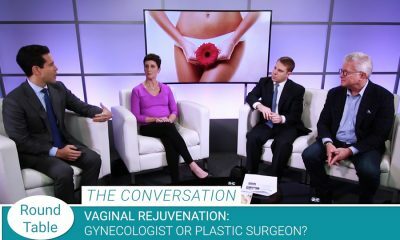 Who to Pick for Vaginal Rejuvenation – Plastic Surgeon or Gynecologist?